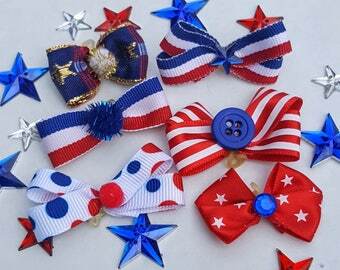 An assortment of 10 single medium size top knot bows assorted colors. 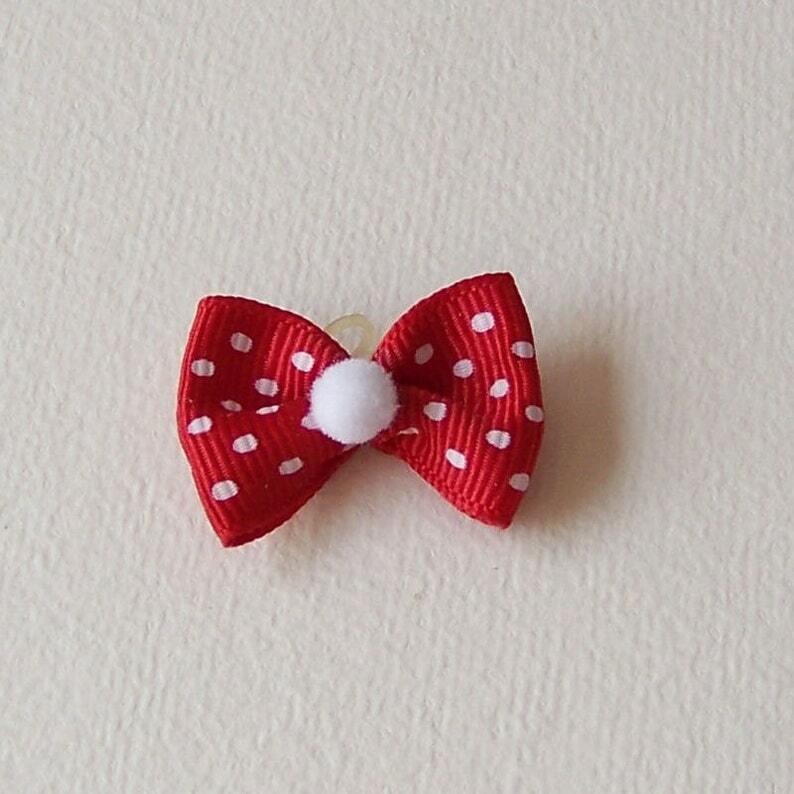 Attach to collar, headband,or hair with the elastic band. 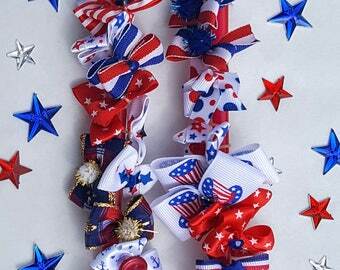 Assortment will include bows similar to pictured. 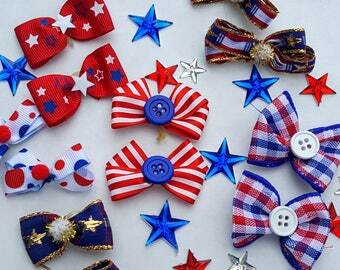 Bows are made from satin, cloth, organza, or grosgrain ribbon. Each has a special added "bling" (gem, rhinestone, sequin, pompom, etc). These bows also make nice product bag sealing or box decoration.